As Ramadhan is fast approaching we are trying to clear out our current stocks. Insyaallah in the next few days two shipment of abayat from Dubai are arriving. 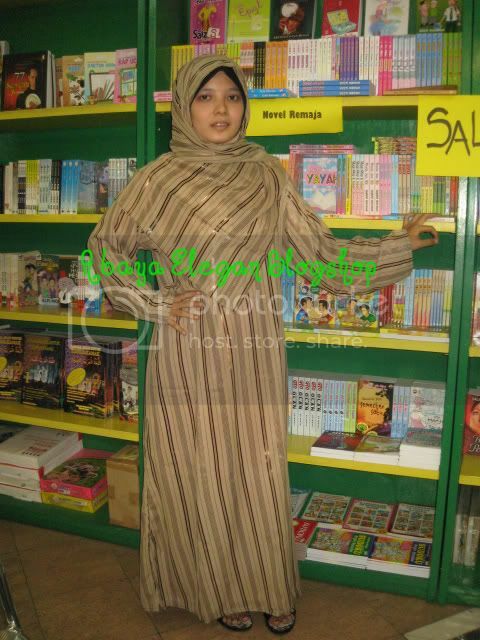 Hopefully there'll be more new designs of modest abayat for you to choose. So, here are the abayat in the Clearance Section. A closer view. Look at the sleeve. Material - inside is printed satin, outside is chiffon. Material is Lexus, very smooth and cool to the touch. Open front. 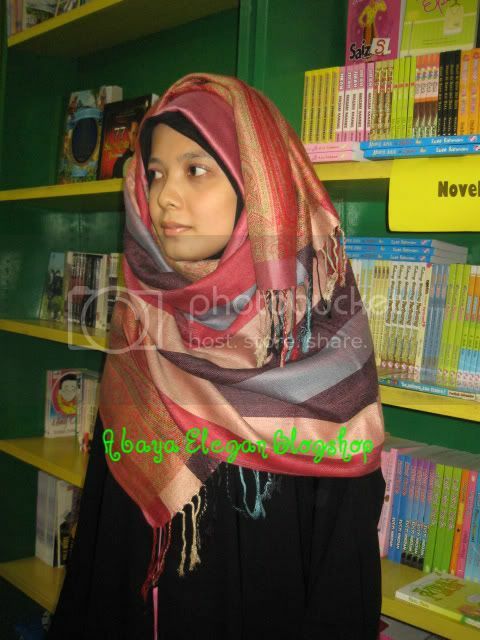 Material is Pashmina + Silk. It's very soft to the touch like silky smooth and very cool. Size Standard and quite big. Material is light layered with plain matching coloured chiffon underneath. 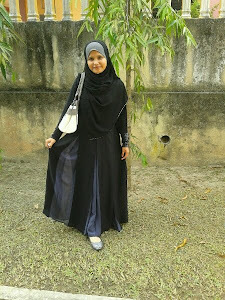 SC005 Satin Abaya with wide flowy sleeves. Material is satin. Open front. The sleeves are layered - outside with chiffon decorated with Korean stones and inside is satin. Term is First Come First Serve. All of them are ready for shipping. Anyone interested, please order ASAP because they are currently available at Maribaca Boosktore too. More stock clearance will be announce soon. Insyaallah. 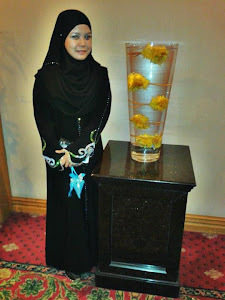 Waa...adik tu dah jd model plk ya...hehe, kena byr gaji lbh la tu ya! 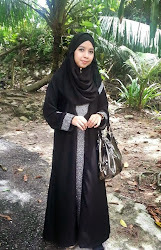 BTW, she looks a bit like Arab kan...so, sgt sesuai!! 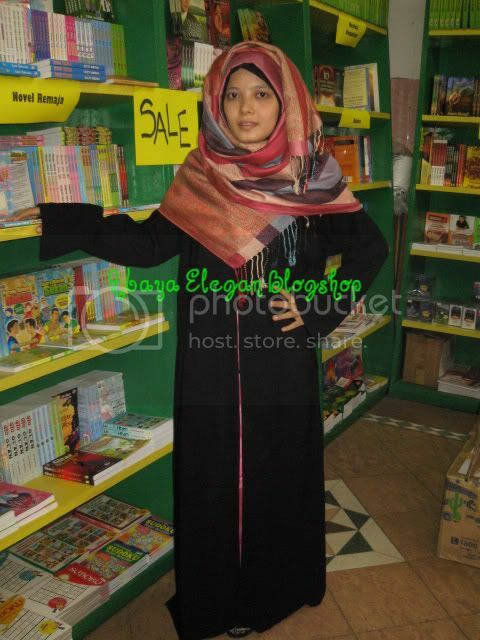 Haha, ya lah k.an... dah janji dgn dia, kalau abaya tu laku, saya akan bagi bonus kat dia sebab sudi jadi model w/pun sedang pregnant. 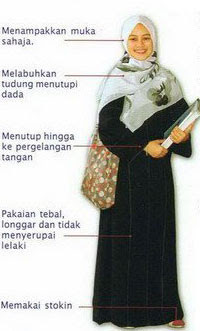 kak chik, macamana pakai tudung yang macam no 1 tu? actually senang je wawa tp susah nak explain. 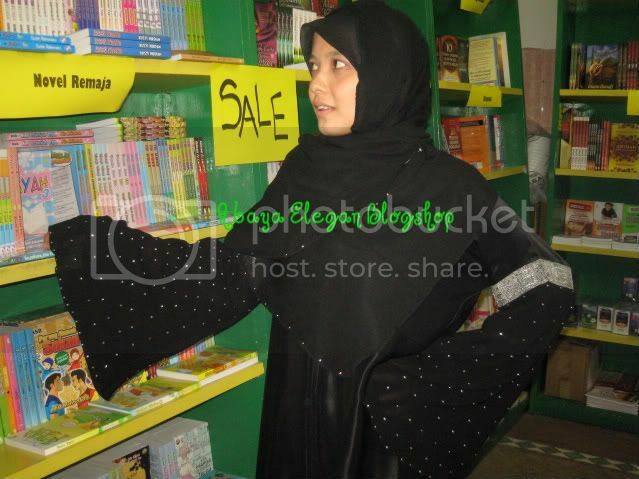 syarat kena pakai tudung inner kerana cara ni bhgn belakangnya singkat. kena buat videolah gayanya hehe.